How can someone be a drunk if they are not drinking? There are those who can give up drinking and then lead a relatively normal, balanced life without any further assistance. These individuals, however, seem to be in the minority. Many recovering alcoholics need additional help. This can be in the form of support groups, medication, behavioral therapy and the like. For those who give up drinking and remain (or return to) behaviorally, emotionally and psychologically a drunk, we have a term, "Dry Drunk". This term is obviously an oxymoron as it implies that a person is drunk without ingesting alcohol. Thus, as an alcoholic, nothing significant has been achieved under a dry drunk condition aside from stopping the habit of drinking alcohol. In fact, the manifestation of typical signs of dry drunk syndrome is a red flag that should concern a recovering alcoholic. Are you concerned about the drinking of a family member? Would you like to learn how to help your loved one stop drinking? If so, follow this link to learn about Living With an Alcoholic. This syndrome (the existence of which is by no means universally accepted) is used by some in the addiction field to justify the need for comprehensive alcohol dependence treatment programs. It is not enough just to stop drinking. Beyond the physiological concerns, you need to undergo parallel therapy to address the destructive behavioral, emotional and mental variables of the medical condition. Persons suffering from the syndrome fail to attain the level of sobriety or resist the necessary conditions associated with sober living. Their daily routine is detached from reality, relationships remained strained, and their alcoholic behavior remains volatile and undesirable. Feelings of superiority – When a recovering alcoholic fails to achieve sober realism, he or she exaggerates his sense of self-importance. This skewed mindset may be manifested either as strength or weakness in character. Intolerance – An alcoholic is prone to make inappropriate evaluations and tend to become exceedingly judgmental in his or her actuations and interaction with other people. 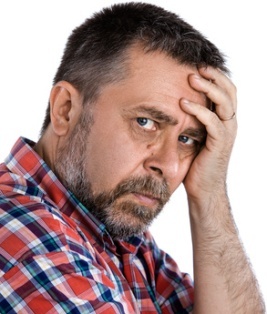 This can sometimes develop into anger management problems, which greatly complicate the recovery process. Misplaced value judgment - The need for instant gratification of one’s personal desires becomes the overriding concern of an alcoholic. A recovering alcoholic loses his or her sense of priority to a point that even a passing fancy is given due course over that of the more essential concerns. Unpremeditated acts – Failure to control the need for instant gratification will trigger impulsive acts and feelings. This impulsiveness will ultimately force a person to ignore the implications of his or her actions and decisions. Vacillation – A person who tends to become impulsive will also be indecisive. Indecisiveness occurs when an alcoholic fails to weigh the implications of his or her action or decision. He or she vacillates when faced with several courses of action and ends up not taking action at all. If you are a member of Alcoholics Anonymous, then go to a meeting, talk to your sponsor, read the literature etc. If AA is not your thing then access an alternative support group such as SMART Recovery, SOS or LifeRing. See a counselor or a therapist to try and change your behavior and thinking patterns. 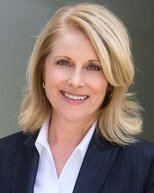 The Alcoholism Guide has their own counselor, Deborah Morrow. If you would like to speak with her then fill out this free alcohol asessment form. Talk to another recovering alcoholic who can listen and give advice. Someone who can empathize with your situation is a great help in times of darkness. If all else fails, check into a treatment center; you don't have to be an active alcoholic to go into treatment. It is a misconception that all that happens in rehab is alcoholism detox. In rehab you will undergo a comprehensive treatment program including group therapy, counseling, relapse prevention etc. In other words all those things that will prevent you from becoming a dry drunk. Alcohol Relapse Triggers. Discover the main causes of alcohol relapse. Relapse prevention Plan. Strategies and advice on how to avoid relapse. Alcohol dependency treatment. The options open to you. Alcohol Treatment Facilities. 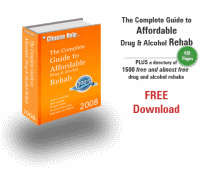 What to look for in an alcohol rehab center. Alcoholic Behavior. The signs to look out for. Alcoholic Personality. Is there a type of person more prone to developing alcohol dependency? Alcoholism Denial. One of the more baffling aspects of alcoholism.